With only 60 of these Maserati Ghilbli Cup produced, they fall well under the 500 maximum for Show or Display. It was more of a special version of the Maserati Ghilbli, still it managed to get approval for Show or display. Check out this article on Pistonheads. The Ghibli Cup was derived directly from the Open Cup racing version and modified for use on public roads. 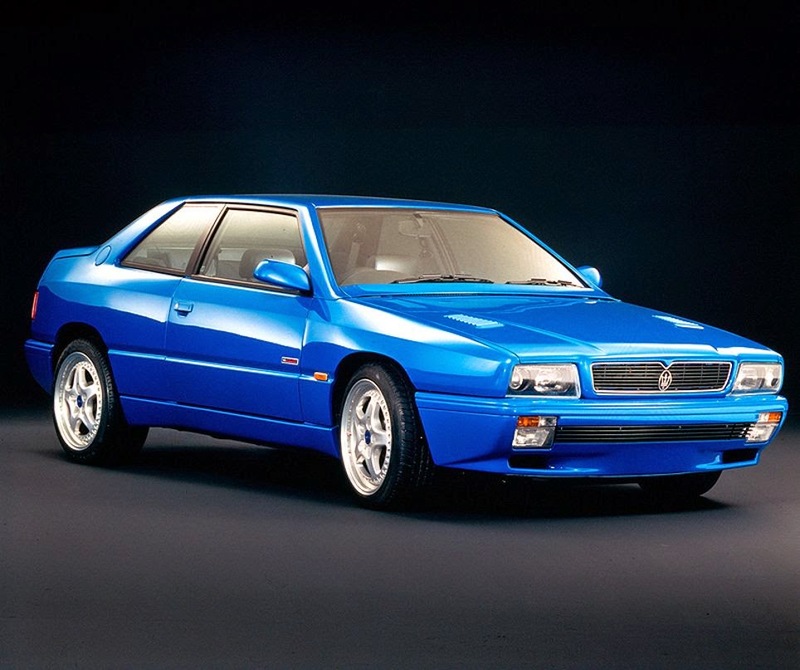 Launched at the Bologna Motor Show in December 1995, the 2-liter V6 was rated at 330 bhp at 6,500 rpm, giving the car an effective top speed of 270 km/h (168 mph). The torque value was very constant above 35 kgm from 3250 rpm to 6700 rpm. Compared to the normal Ghibli, the suspension was lowered and stiffened and the front discs were now drilled and equipped with Brembo calipers. Externally, the car was somewhat understated but the game was given away by 5-spoke Speedline alloy wheels and the racing-type aluminium fuel cap at the base of the rear pillars. The discreet Ghibli Cup logo was located on the doors, only the Maserati badge gracing the boot-lid. Available colors were limited to red, white, yellow or a shade dubbed French Blue. The interior was the sportiest yet in the Biturbo family, though still cosy and well finished. It featured a Momo racing wheel, drilled aluminium pedals, carbon-fibre inserts and black Connolly leather seats. Just 60 Ghibli Cups were made, each one bearing a numbered plaque on the dash, though interestingly a further 15 Ghibli Cups were produced upon request with a tweaked version of the 2.8-litre engine.